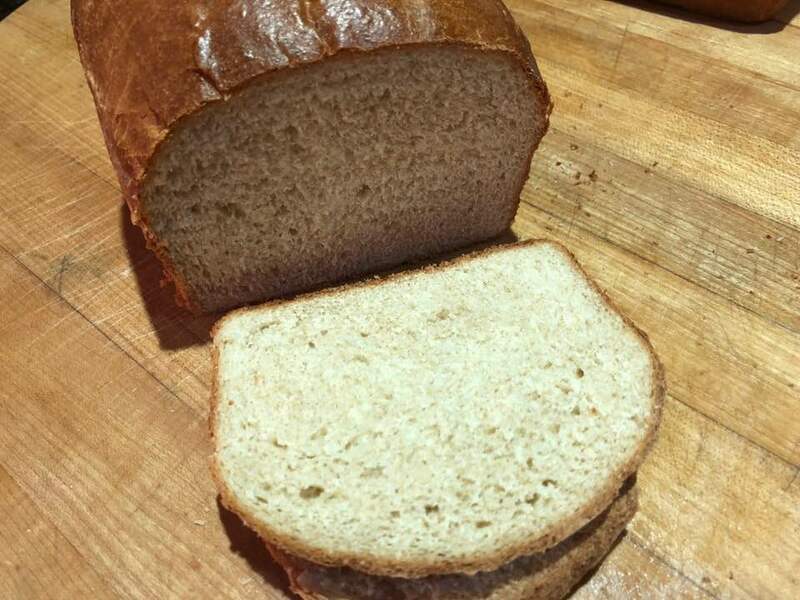 This buttermilk whole wheat bread is a new recipe for me, but I will be making it often. If you love wheat bread, you’ll like this recipe. The buttermilk and eggs in the recipe give it an added texture and protein. 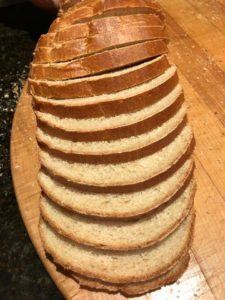 My family enjoys this bread, which can be sliced and put into the freezer for later use. 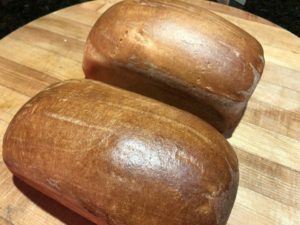 Use it a few slices at a time or defrost the entire loaf for dinner a week later. I found this recipe on another food blog site, and have been given permission to share it here. To visit Paula Roy’s site, simply click here. In addition to the usual bread ingredients of water, yeast, sugar, salt, and oil, you will need eggs and buttermilk. This bread is especially good toasted. A friend who visited when I served it told me that she thinks it has a nutty flavor. I’m not sure where that comes from, and I wonder what the rest of you will say about the flavor of this bread. The texture is very soft and I assume that comes from the buttermilk. 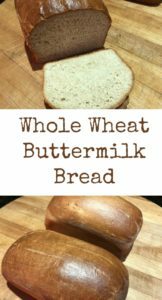 An interesting flavor from buttermilk, this whole wheat buttermilk bread is great for toast and for serving with sandwiches or for dinner.